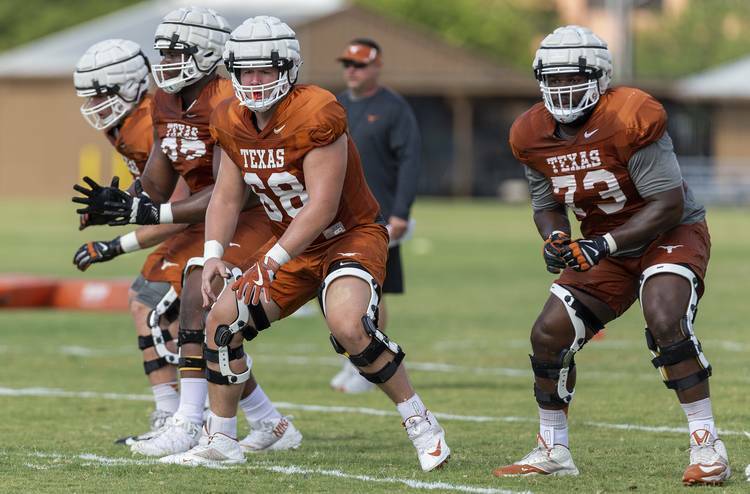 He arrived at Texas as a probable guard or center, but ended up starting the final 10 games — almost all at right tackle. Go figure. Kerstetter was a big win for Tom Herman and the offensive staff in the 2017 class. He was committed to Oklahoma State when Herman left Houston for Texas. Kerstetter was a three-star recruit who participated in the U.S. Army All-American Game as an interior prospect who played guard and at center despite spending his prep career at tackle. He was a three-time all-district selection. He was ranked as the No. 30 offensive guard in the country and the No. 619-ranked overall player in the country. Kerstetter was expected to play guard or center in college, but that never happened. He started 10 games as a freshman in 2017. His college debut was a start in the third game, against Iowa State. He started every game after that, though he did move to left guard in the win over Baylor. He was overmatched at times when his youth and lack of strength showed against the better rush ends in the conference, but considering his age and the fact that he wasn’t prepared to start until the season began, Kerstetter showed enough to give fans hope at right tackle. He’s also shown the versatility to move inside if needed. When Kerstetter enrolled, it was hard not to make quick comparisons to Connor Williams. Last season as a freshmen, he started the final 10 games. Herman essentially threw him into the deep end and forced him to swim. And it worked. Now, the Horns have someone who could possibly end up being a four-year starter when it’s all said and done. Like all linemen, he continues to add heft to his frame. Kerstetter checks in at 305 pounds. As long as he keeps that nasty streak, he will be just fine.